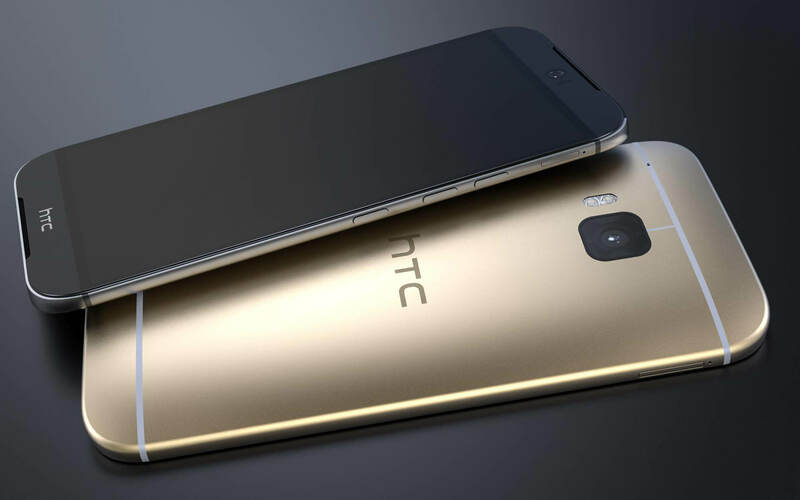 The Upcoming flagship, HTC One M9 (Hima) has leaked again, this time in more details. The phone is built around a 5" IPS display and packs 1080p resolution. At the back, the 20.7MP camera is confirmed and it will sport dual LED flash. For now, there's no information whether it'll record 4K video, but we will be surprised if it doesn't. At the front, it will be backed by a 4MP UltraPixel camera, probably the same as the One (M8)'s. Contrary to previous rumors, the latest leak doesn't suggest a dual 20.7MP camera configuration at the back. The HTC One (M9) draws processing power from a 64-bit Snapdragon 810 (MSM8994) chipset with a 2.0GHz quad-core Cortex-57 and a quad-core Cortex-A53 running at 1.5GHz. There's 3GB of fast DDR4 RAM and graphics are handled by the Adreno 430 GPU. HTC will offer the One (M9) in 32GB and 64GB flavors and the phone will run Android 5.0.2 Lollipop with Sense 7.0 out of the box. If you have been following us, you probably have a pretty good idea about what to expect from the upcoming Samsung Galaxy Note 7 already. 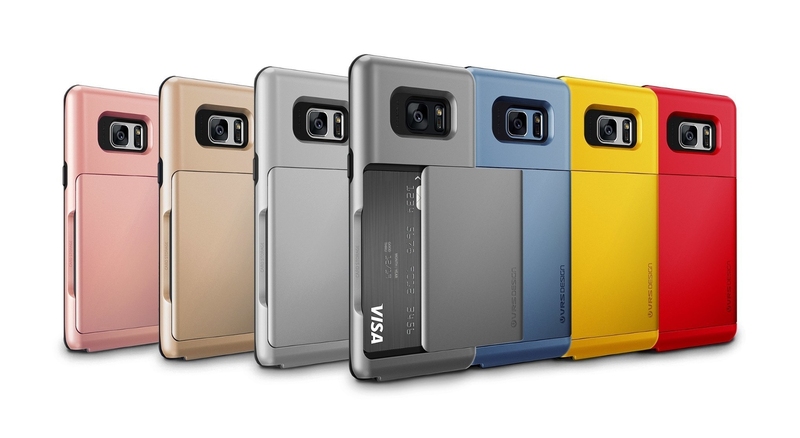 But just in case you don't have an idea, have a look at some these recent renders released by VRS Design while listing their new range of cases for the Note 7. The pictures do not reveal anything to us that we do not know already but they sure are reinforcing the rumors almost to the point of becoming facts. We can see the S-Pen's top end poking out from the bottom right S-Pen slot and the expected USB Type-C port makes its appearance in this render as well. What we do not see clearly however, are the three lenses of the rumoured retina scanner. 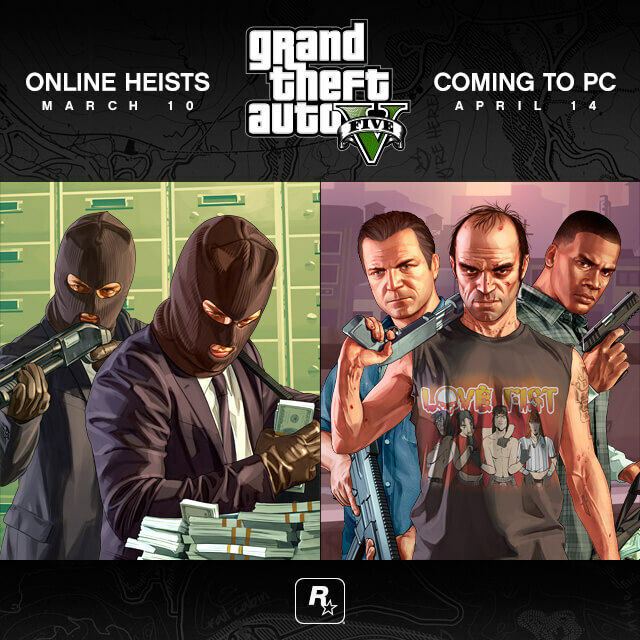 Given that the images do not show the retina scanner to be absent either, don't lose hope yet! Additionally, we can see the dual Edge display, the ambient light sensor, the front camera, the rear camera and the dual tone flash. Samsung may have kept the Galaxy S8 from being launched at the MWC 2017, but that isn't stopping the leaked renders and photos from coming in. 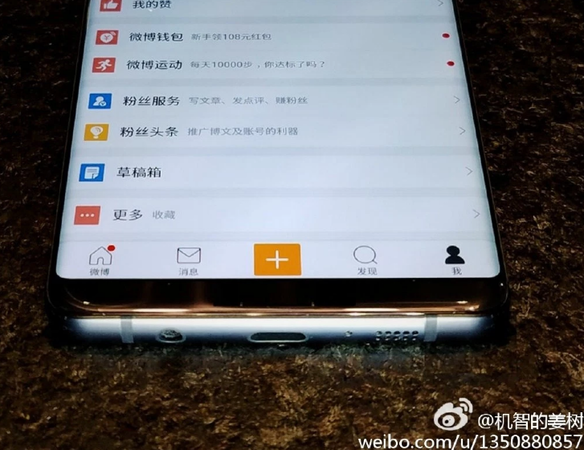 Courtesy of a post on Weibo, we now have our second live picture of the upcoming smartphone and it shows exactly what everyone had been expecting; extremely thin bezels and no physical Home button. Delightfully, it also confirms that Samsung will indeed stick with the 3.5mm audio jack, as can be seen in the picture. Additionally, we can see the microphone, the USB Type-C port, two antennae lines and a speaker grille at the bottom. Although we can only see a small portion of the phone and the curved display, one must admit that it looks amazing. If you are wondering if this is indeed the Galaxy S8 we are seeing here or just a fake image, we cannot confirm anything. That being said, this pretty much looks like the real deal and chances are quite high that this really is the S8 that has been captured in the image. To know more about the upcoming flagship from Samsung, check our spec sheet. The Galaxy S8 and S8+ are fantastic devices, but they have their flaws too. Fortunately, one of those flaws will not be a battery malfunction or more explicitly, a battery blow up anytime soon. In order to make sure that the Galaxy Note 7 disaster never repeats itself ever again in any of Samsung's future smartphones, the South Korean company has taken multiple steps; 8 to be exact! Check out the video that Samsung has released as the official release date for the S8 and S8+ draws near with each passing day. 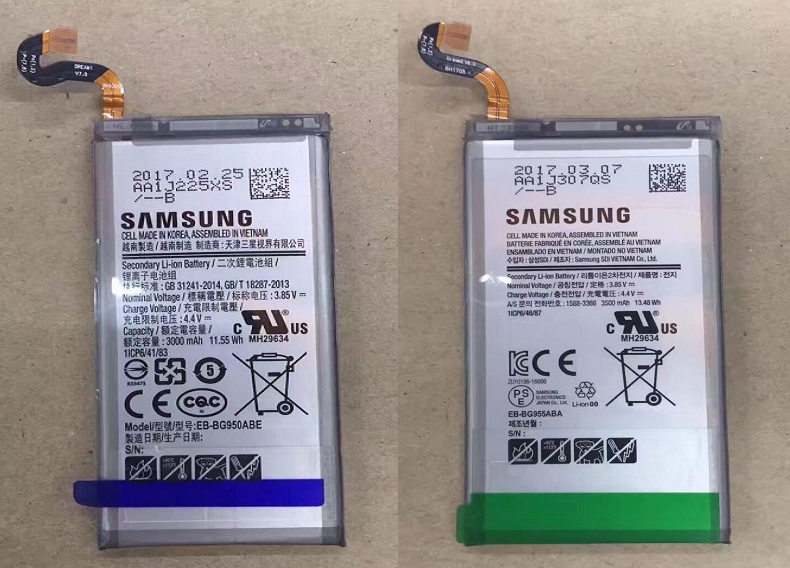 Clearly in their attempt to take battery safety more seriously than ever, Samsung has also taken the controversial decision to stick with batteries that are practically of the same size as that of the S7 and S7 Edge from last year. While it may not be that bad for the S8+, this has had a detrimental impact on the S8 in terms of battery life. Consider the fact that both phones are pushing more pixels and a significantly larger and brighter screen than their predecessors and the problem should become apparent to you as well. Bixby isn't exactly finished yet, but Samsung has already dedicated an entire hardware button to it on its latest flagship handsets. As expected, most people didn't like that much and they complained about Samsung not giving them the ability to remap the button to say the camera, or ideally, the fully functional Google Assistant. The situation was remedied when a XDA Developer released an app onto the Google Play Store that allowed the user to remap the button to his/her liking. This time around, it was Samsung who patched it up and made sure that the app would no longer work after downloading and installing their latest OTA update which also includes the April security patch. At this point, it was believed that the S8 and S8+ will be stuck with Bixby on that button forever, unless you decided to root your device. Apparently, that belief system was flawed since Redditor Dave Bennet has just releaed an application named BixRemap which does one better over Samsung. However, this time around, the app can only be used to launch Google Assistant instead of Bixby and nothing else. It is still a better option for the button rather than calling up Bixby which doesn't even work with voice commands yet. The user will still see Bixby beginning to launch on pressing the button, but the Google Assistant will replace it in a flash to come up instead. 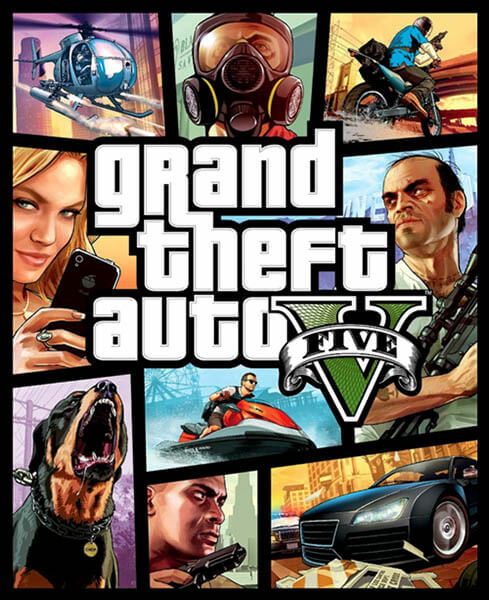 No rooting is necessary to use the app and it can now be downloaded from the Play Store. This app may not be as good as the previous release, but at least this one still works! The Galaxy S7 Edge was Samsung's last device to sport an "Edge" moniker because from the Galaxy S8 onwards, both devices in the S-series started to sport curved displays, making the moniker useless. However, if a statement by MobileFun is to be believed, they have heard from a reliable source that one of the devices in Samsung's upcoming S10 series will once again be called Galaxy S10 Edge. As MobileFun has stated that the source is none other than one of Samsung's own supply partners, the information probably has some truth to it. If you are wondering which model will be called the Galaxy S10 Edge, know that it would be the regular Galaxy S10 with a 6.1-inch display, as per the source. 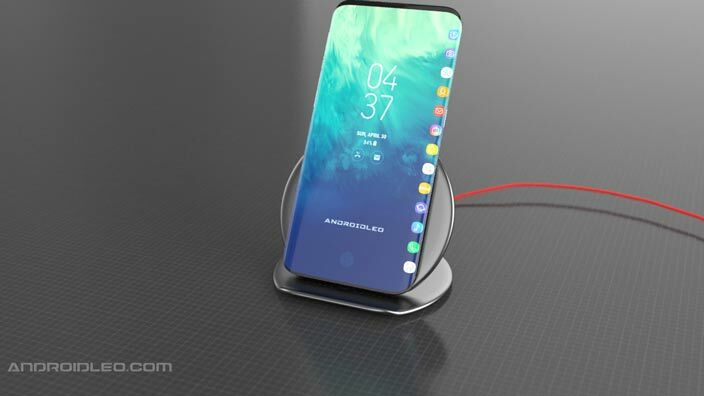 If this rumor turns out to be true, then it is very likely that the Galaxy S10 Lite will have a flat panel, instead of the curved panel on the Galaxy S10 Edge and the Galaxy S10 Plus. 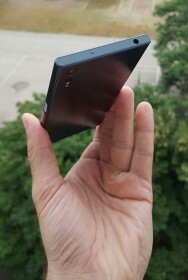 The same source also claims that all Galaxy S10 devices will come with screen protectors pre-installed, not unlike what Chinese manufacturers like Vivo or Oppo had been doing for a long time. Last Year, Apple CEO Tim Cook decided to stop the bloodshed and started to initiate peace efforts with Samsung. The two had been going at each other with patent infringement suits that made the first page of major newspapers. Now, both tech titans are teaming up on certain components which will take business away from the competition. According to Bloomberg, Samsung will be responsible for most of the Apple A9 chips that will be found in the next iteration of the iPhone. We've gone back and forth on this with some swearing that TSMC will get the A9 business and others insisting that the chip will be coming out of a Samsung factory. According to analyst Ming-Chi Kuo from KGI Securities, TSMC will get 30% of the business which could leave Samsung with the balance. Last year, with Apple and Samsung on the outs, TSMC was responsible for the Apple A8 chip. A third manufacturer that has been mentioned this year, Global Foundries, has a yield of 30%, well under the 50% required for mass production. With Apple and Samsung working together, the latter has been showing improvement in its Q1 component sales. Samsung is optimistic enough about the future of the business to expand its chip making capacity. On the other hand, TSMC has announced a cutback in its spending. Another company that is feeling the financial heat from Apple and Samsung's new found love for each other is SanDisk. The latter produces chips for mobile devices like the Apple iPhone and Apple iPad. While Apple was once SanDisk's largest customer, accounting for 19% of its revenue, those days are apparently gone. On April 15th, SanDisk said that it expected to report lower than expected sales for the year as its loses customers for its chips. Apple would certainly be on that list. For Samsung, its resurgence in chip sales came at a perfect time. 2014 was a poor year for the company's smartphone business as it dropped from contributing 75% of Sammy's profits in the first quarter of 2014 to 37% by the fourth quarter of last year. Meanwhile, chip profits went from accounting for 20% of the company's profits in the third quarter of 2013 to contributing 55% of the profits a year later. 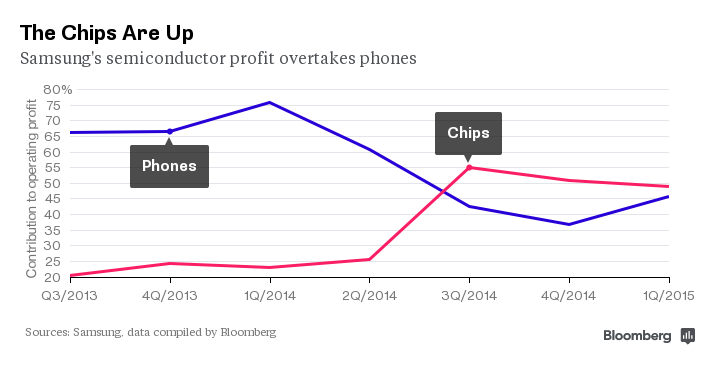 Since then, Samsung's chip business has been outperforming its phone business. Although that might change with the success of the Samsung Galaxy S6 and Samsung Galaxy S6 edge, it doesn't take away from the fact that Samsung is growing its semiconductor profits. 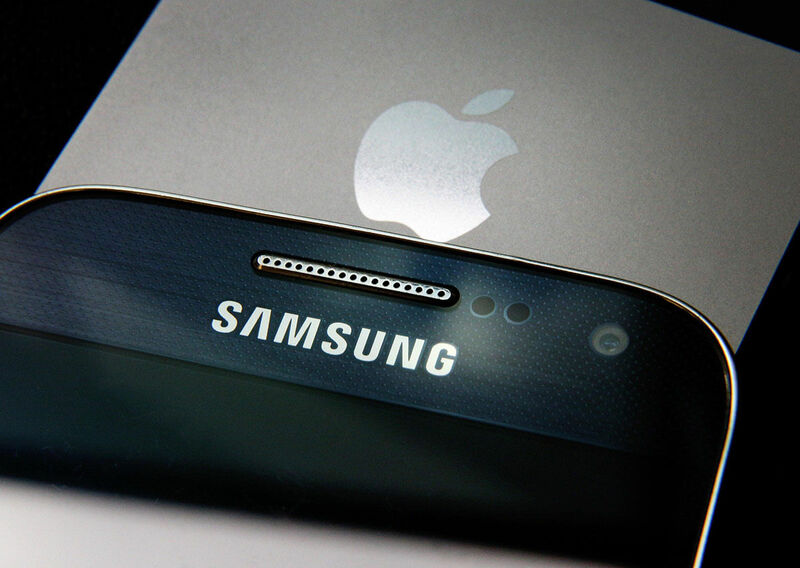 Together, Samsung and Apple control 40% of the smartphone market. With Apple turning back to Samsung for its component needs, and Samsung using its home grown chips for its flagship phones (a practice that will continue with the Samsung Galaxy Note 5), there could be dark days ahead for more chip makers that once relied on Apple and Samsung for business. Besides TSMC and SanDisk, Qualcomm is another name that might belong on that list. 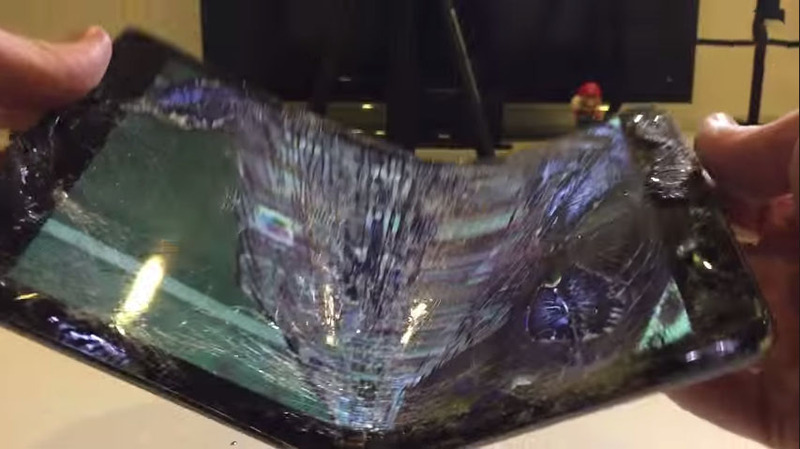 Looking back at the whole iPhone 6 Plus #Bendgate debacle, it's impossible for anyone to downplay the incredible effect a single video from a guy who thought it's a good idea to test out the phablet's rigidity generated. In fact so easy was the iPhone 6 Plus to bend that the original clip that started it all racked in views in the tens of millions on YouTube alone a fraction of the total interest generated throughout the web. It's hard to pinpoint any one single factor that contributes to content's sudden rise to viral status, but in the case of #Bendgate, it probably had at least something to do with the fact that we were talking about an Apple product, Besides, there's just something oddly-satisfying about witnessing the destruction of tech that costs hundreds of bucks as if it's no big deal. But enough with the introduction. When Apple took to the stage about ten days ago and announced that its new iPad Air 2 will be impossibly-thin, at 0.24 inches (6.1 mm), many of you have probably paused for at least a second to consider the possibility that it, too, will easily bend. Interestingly enough, the first bend test of the iPad Air 2 that we saw just two days ago lead us to think that the Air 2 won't suffer from a similar issue. The slate looked rigid. 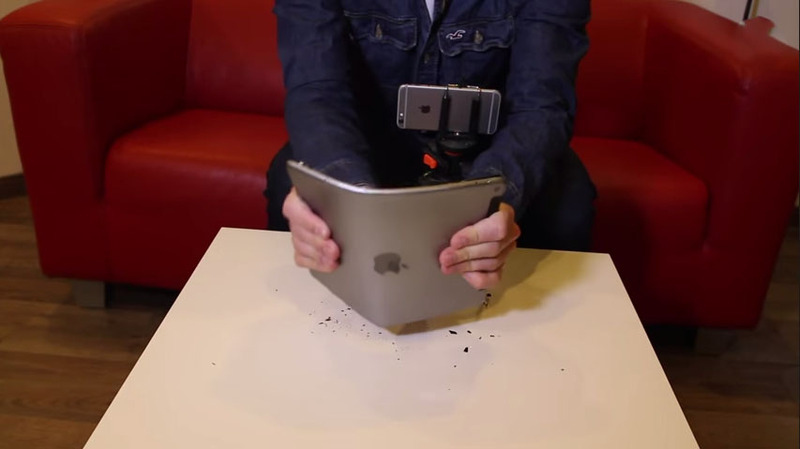 But another video that followed up just hours later shows a completely different picture not only does the iPad Air 2 bend, but it can be literally snapped in two with just two hands. Check out the Video below! 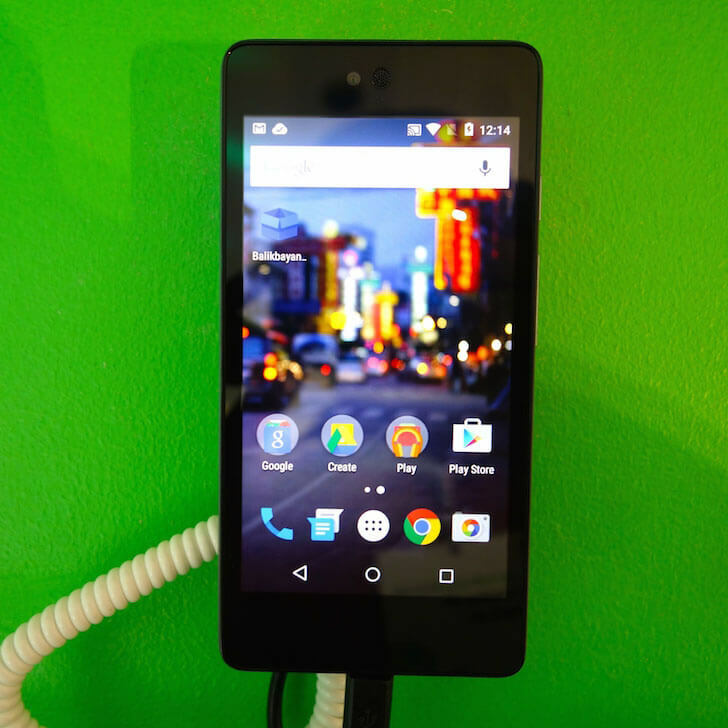 We are still waiting for Android 5.1 Lollipop, Google confirmed the Android version 5.1 release last week. 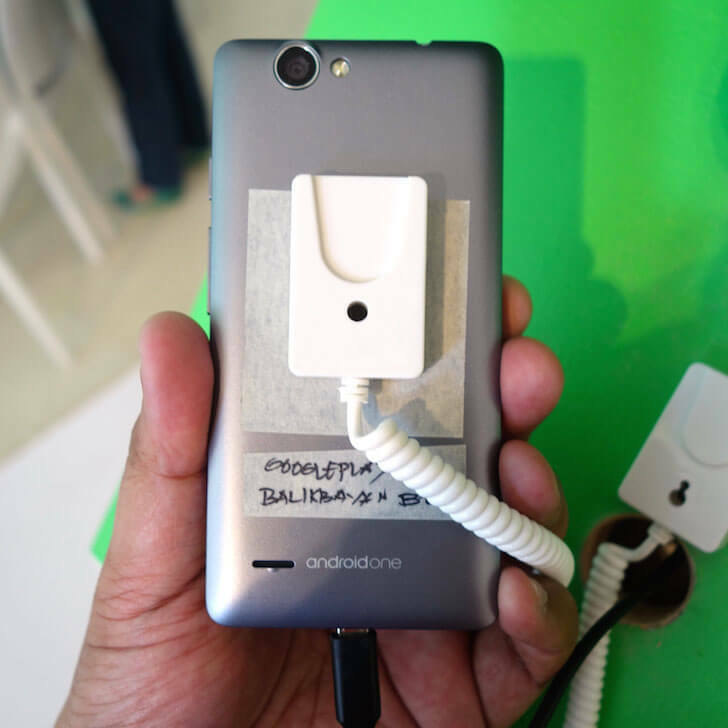 Today, an Android One device spotted running the Android build 5.1 on a retailer shop in the Philippines. 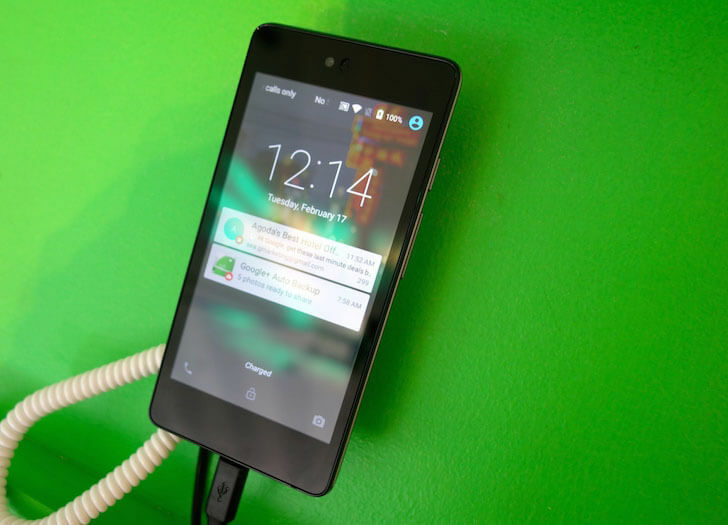 Yes, just as you might've guessed, it's Android 5.1 Lollipop. 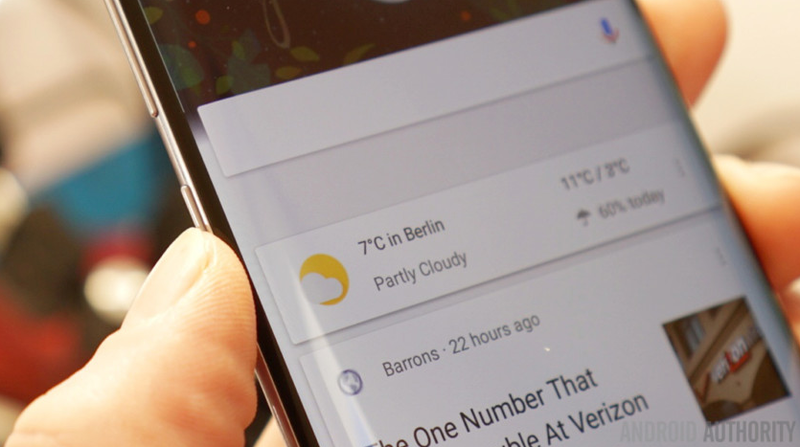 It is said that Google has subsequently forced both manufacturers to remove the listing of the OS version from the specs sheets, but numerous hands-on reports claim that the Android version was, indeed, the coveted 5.1 Lollipop. Well, we can only hope that Google will release the factory images of the build sooner than later. Samsung did not have the best of starts this year when the OEM started to roll out Android 8.0 to some of the Galaxy S8 and S8+ devices in a lot of the regions. Apparently, the roll out had some bugs which caused certain devices to restart on their own and Samsung had to halt the process in order to fix the bug. Reports from multiple sources indicate that the rollouts have started again and hopefully, Samsung has managed to fix the issue this time around. Fans are not exactly happy, but we are glad that Samsung managed to address the fault quickly enough. Once can argue though that the bug shouldn't have been there to begin with, given how much time Samsung took to release the update. In any case, look out for firmware version G950FXXU1CRB7 and G955XXU1CRB7 for the Galaxy S8 and the Galaxy S8+ respectively, if you own any of the two handsets of course. The OTA packages should come in a at a size of roughly 531MB so you better fire up that Wi-Fi before starting the download. Check out our firmware section to find all the latest updates for your Samsung smartphones and tablets.